Synopsis: Elliot the little elephant has a hard time with a lot of things in the city he loves until he meets Mouse, who is even smaller–and hungrier. Hi again readers! Welcome to another storytime! I’m super excited for this one because we also have a super exciting event coming up this weekend, November 3rd at ImaginOn. It’s called EpicFest and it’s from 10-4 and we’re going to have so many fantastic authors. In fact, our book today is actually by one of our EpicFest authors and that book is called “Little Elliot, Big City” and it’s written and illustrated, that means he did both the words and the pictures, by Mike Curato. Should we go ahead and see what happens with Little Elliot in the big city? Let’s do it! Wasn’t that a fun book. I love that book and the illustrations are so beautiful. Now if you’re looking for more authors and illustrators that will be coming to our special event, we also have Nick Bruel, Leo Espinosa, we’re going to have Paul Zelinsky, we’re going to have Tammi Sauer. It’s going to be an extra fun day so make sure you check out all of these books at the library so you can meet the authors at EpicFest this Saturday. Now kids, I need to talk to your grown-ups again, so go ahead and play, grab a snack, and I’m going to take a few minutes with our parents. All right? All right. 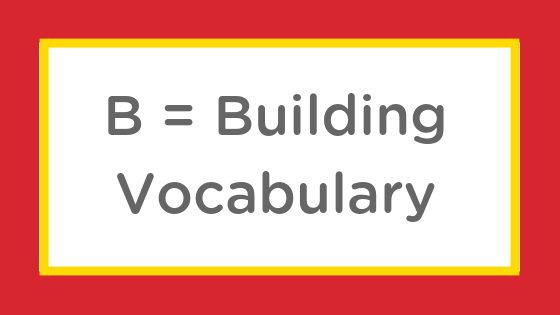 Building vocabulary will establish a strong word knowledge and set the stage for later independent reading skills in school. In Little Elliot, Big City, Elliot mentions that he loves living in the big city but it was hard being so small in such a “huge” place. The word “huge” may be new for your child, creating the perfect opportunity for you to help build their vocabulary skills. Create a child-friendly definition. This means creating a way of explaining the word that your child understands. You may want to explain it using synonyms they already know. You know what the word BIG means, HUGE is another word for BIG. Can you show me with your arms what HUGE looks like? Use the illustrations and point to the images that will help the child understand the word. Look at the buildings in the picture, they are HUGE. Can you say HUGE? Looking at the buildings, what do you think HUGE means? Have you ever seen HUGE buildings? You can also ask questions that help your child connect the word to their experience; how have they experienced this feeling? Do you remember when we went to the mountains? Wow! Those mountains were HUGE too! Thinking about the mountains and the buildings in Little Elliot, what do you think HUGE means? Revisit the vocabulary words when you read books, because children learn from repetition. You should also use the words outside of reading to help your child really learn and internalize the words. Thank you so very much for joining us today in our stoytime and listening to our Active Reading tip. We’ll be back again next month with another fantastic story and another Active Reading tip. Also, don’t forget to visit us at ImaginOn this Saturday, November 3rd from 10-4 for EpicFest, where you can meet all these awesome authors and illustrators. We look forward to seeing you then. Thanks again and make it a great day!